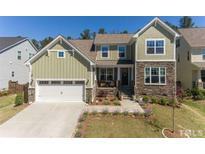 Find Durham, NC Homes for sale. View Photos, Maps and MLS Data Now! Rivers Edge - Want a generator, it has that too! MLS#2248493. 410. This beautiful 4-bedroom Woodcroft house has many remarkable features, including: Remodeled kitchen (newer kitchen cabinets, gas range, granite counters, island, and attractive backsplash) * Fenced yard * Cul-de-sac location * Close proximity to the Woodcroft trails * Site-finished hardwood floors * Copper pipes * Recently painted exterior siding * 2012 Trane HVAC system * 1 car garage * Large rear deck * The washer, dryer and refrigerator are included * Use of swimming pool requires additional fee. MLS#2249949. 238. 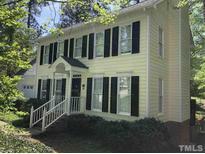 Grove Park - Upgraded features include new HVAC, carpeting, and fresh interior paint. MLS#2249866. 4823. 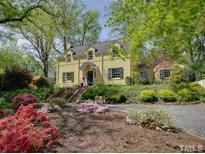 Ivanhoe - Convenient to RTP, RDU and great shopping & dining. MLS#2249871. 649. Don't miss out on this opportunity to buy in a growing area. MLS#2249901. 297. Picturesque backyard is ideal with an oversized partially covered deck and a stone patio perfect for entertaining both large and intimate gatherings. MLS#2249695. 2506. All offers must be submitted by 1PM Monday, 4/22. MLS#2249641. 2506. Chamberlynne - Very large and open concept floor plan, genuine concrete salt water heated swimming pool and hot tub which can be controlled wireless via smart phone app, newly installed prime wood fence, AT&T fiber ready,fully upgraded drainage system,epoxy finish on garage floor, stone fireplace,monitor sensor light on all bathrooms, wooden closet & pantry, central vac system, audio system, 2 MB's. MLS#2247522. 3970. This is a rare find. Come quickly! MLS#2248841. 3160. Peaceful Yet Not Far From Dining & Shopping. Must see! MLS#2249802. 410. Don't miss out on this rare opportunity to own both an absolutely gorgeous home along with an escape from city life while in the city! MLS#2249839. 4118. Ashton Hall - 4 bedrooms, 3.5 bath, 1st floor Home office, Living & formal dining, High-end kitchen w/gas range, stainless steel appliance, updated lighting, hardwood flooring & Oversized OWNER'S SUITE! w/luxurious bath. WOW! ! MLS#2249649. 3051. Arey Spring Park - The features are endless! Come check it out! MLS#2249685. 4118. The perfect location, don't let this one pass you by! 1st year home warranty included! MLS#2249735. 330. Hope Valley Farms - Premier property conveniently located within a short distance to Duke, UNC, walking trails, shopping, and the local YMCA. MLS#2249778. 4655. Latta Woods - Parking 8 car long driveway-perfect for those with multiple cars and guests. Community is tranquil, wooded setting. MLS#2249793. 5068. Lots of cabinet space in the kitchen with tall cabinet pantry, also has additional added pantry for storage! Two storage sheds! 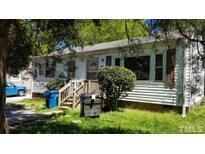 MLS#2249770. 174. 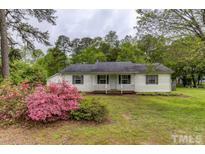 Buttonwood Acres - Close to RTP, Southpoint, I-40 and airport. MLS#2249645. 1954. Orchard Lake - This home's open design features new carpet,fresh paint,wood flooring,master bath with separate shower and garden tub,double vanities,large walk-in closets,and privacy fencing. MLS#2249824. 3232. 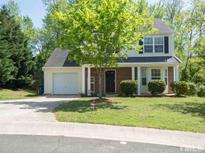 Eno Trace - Lovely 2 story Home 3BR 2.5 Bath with converted garage that could be use for fourth bedroom or bonus Room It is move-in ready with new Paint, New Granite countertops,walking closet beautiful back yard !! Come take a look today !! ! MLS#2249692. 4118. Oversized two car garage. Won't last long! MLS#2249719. 174. The upstairs features a large master suite and walk in closet, two guest bedrooms plus a generous sized bonus/loft. MLS#2249638. 1071. Just a few minutes to downtown Durham for dinner and entertainment! ! MLS#2249830. 4464.